Landscaping is in along Flower Street! (construction photo gallery, updated 1/9/12). (Click images to open construction photo galleries. 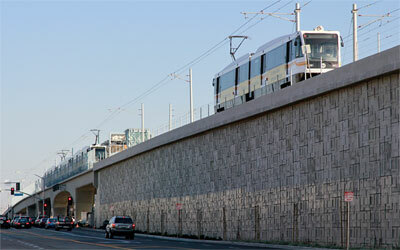 The eastern half of the Flower Street bridge over the Harbor Freeway was demolished (construction photo gallery, updated 1/9/11) and rebuilt to carry the Expo Line tracks (Expo Authority photo). 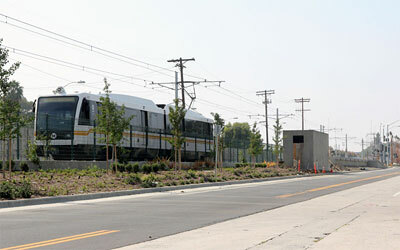 Test trains between USC and Exposition Park is at the western end of the Flower-Figueroa underpass (construction photo gallery, updated 11/23/10). Mid-corridor was completed first (construction photo gallery, updated 11/23/11). 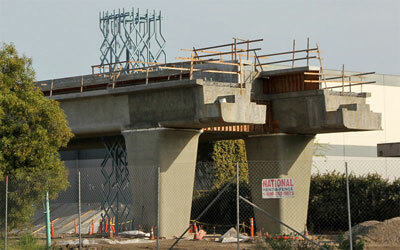 Click for a construction photo gallery (updated 12/3/11) of the La Brea bridge, the first bridge begun. The arched span and sloped columns reflect the Urban Design Committee's requests. 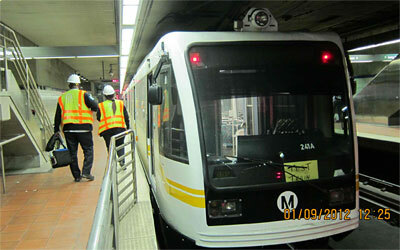 Test trains are stopped at the La Cienega bridge and station (construction photo gallery, updated 1/17/12). 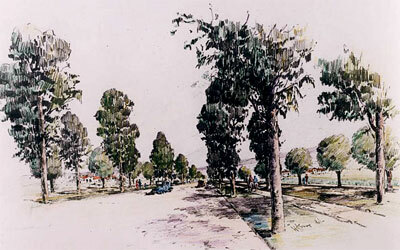 National Blvd. 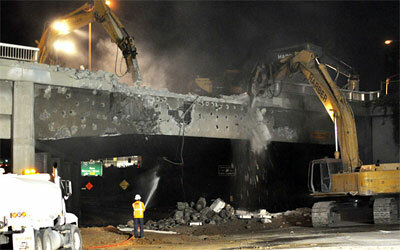 's southern Ballona Creek bridge was demolished for a wider bridge to carry all four lanes. 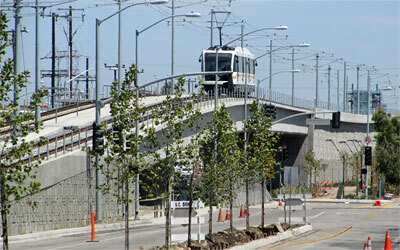 The new Expo Line bridge crosses above La Cienega, National/Jefferson, and the historic railroad bridge, then come to grade east of Hayden (construction photo gallery, updated 8/31/11). 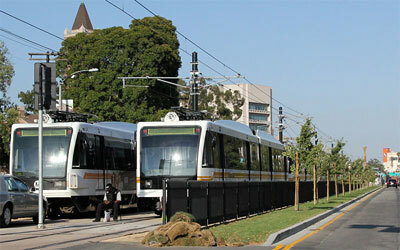 In November 2007 the Metro Board approved programming $50 million in Proposition 1B funds for the Culver City aerial station, and authorized staff to apply for these funds so this station could be part of Expo phase 1. 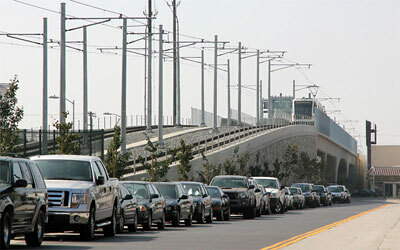 (construction photo gallery, updated 3/18/11).